"Oh yeah! Bring it on!" 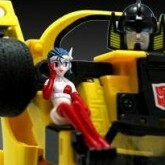 Sunstreaker is partnered with -for unknown reasons- the human "race queen" model Junko Shiragami, and acts as her car. 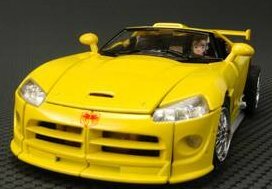 He transforms into a Dodge Viper GTS. 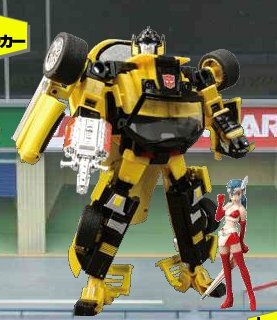 Once, Sunstreaker got in a race with a human-driven sports car, much to Junko's dismay. 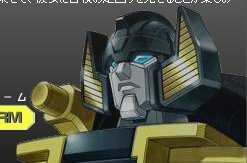 He used his transformation ability to take a particularly sharp curve, destroying a road sign in the process, for which Junko chewed him out. 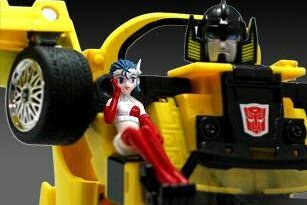 It is said that Sunstreaker drives faster when he smells Junko's marigold-scented hair. 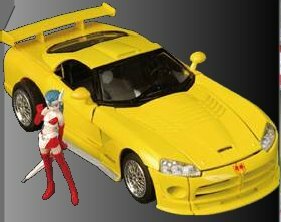 Sunstreaker meets Junko Shirakami – Dodge Viper GTS toy information. 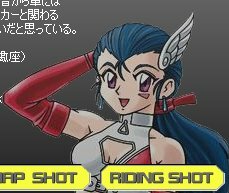 The Binaltech Asterisk version has a different color pattern and deco from the Alternator edition. 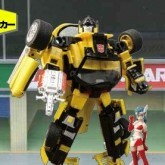 A different shade of yellow was used for the coloring of the overall main body of the BTA-2. 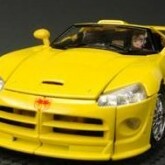 Furthermore, the BTA-2 is a solid yellow, sporting no racing stripes like the Alternator counterpart. 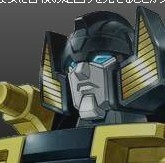 In robot mode, the BTA's chest coloring is inverted with a black cross piece over a yellow chest, instead of the Alternator's yellow cross piece over a black chest. 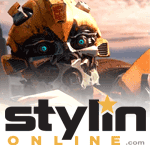 The legs, feet and arms are also colored differently. 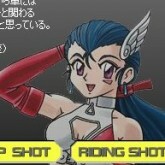 A Junko Shirakami figure is included. 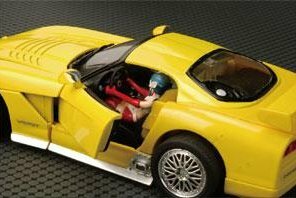 Sunstreaker meets Junko Shirakami – Dodge Viper GTS parts information.